How does my team page work? Once you have created your Page - You can then invite others to join your team. Next step is to send fans to your specific team page link. Here, they will be able to make a donation directly on your team page. If a donor makes a donation on an individual's page who joined your team, that donation will be credited to both the individual and team page. How do I get fans involved? Easy, let them know about your page! Email & social media are a great way to spread the word of your campaign! Go one step further and host a Pin Cancer Night! How do I host a Pin Cancer Night? Feel free to contact our team to start setting up your Pin Cancer Night. First, we recommend making sure it is ok with the school AD. We also recommend contacting the other team to get them aware and involved. How does my team get Pin Cancer singlets for our event? We loan teams singlets for Pin Cancer Nights. Contact us for more information. How do our fans donate? Once your page is live, your fans will be able to visit it and make a donation. Or, they can make donations to any wrestler's page that is tied to your team page. In this case, both the wrestler and the team will get credit for that donation. Easy! Your page is setup to automatically collect donations in real time. 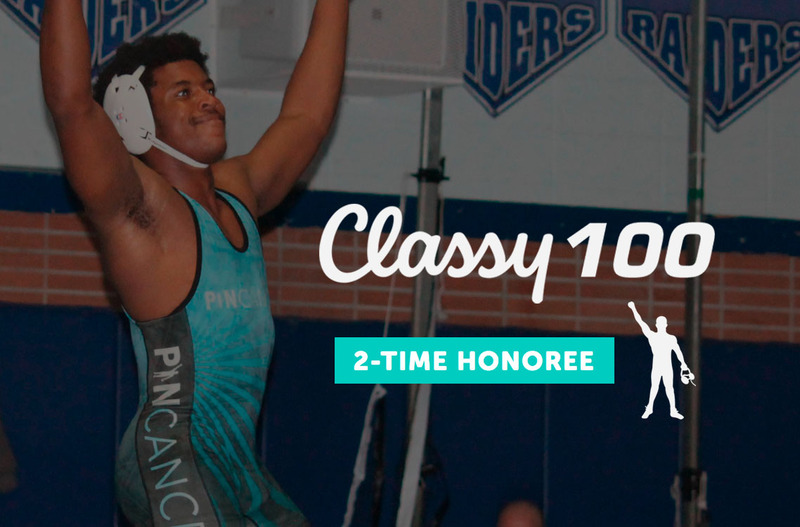 For individual wrestler fundraising pages, as you start raising funds, you will earn rewards! Yes! Supporters will receive a receipt for the amount they donated. After your team page has been created, you can start raising funds immediately, and throughout the entire wrestling season. Feel free to start planning your Pin Cancer Night anytime throughout the season. We recommend having a team parent and coach help coordinate and organize the event. Let others affected by cancer in your wrestling community know about the event and invite them to join! Purchase Pin Cancer Graphic Tees! Make your event awesome by purchasing Pin Cancer Tees! Tees can be given to wrestlers, thrown in the stands, or bought by fans to make your Pin Cancer night memorable. Order 25 or more and receive bulk pricing.